You’ve seen it on the news; you’ve seen it on social media; and you’ve heard about it from your neighbors. Package theft is a serious problem! About 26 million Americans have had a package stolen from their front door during the holidays. That’s about 21 percent of all households in the United States. During the holiday season, about $108.2 billion is expected to be spent on online purchases. Unfortunately, this presents a ripe opportunity for thieves to cash in. Are you ready to face a game of chance to see if you’ll receive the item you purchased online? Burgeoning analysis of package theft shows this type of crime is more common in tech hubs and wealthy cities. In other words, thieves are seeking out high-value targets. Sometimes, thieves will even follow delivery trucks on their route so they can easily identify the deliveries where the recipient wasn’t home. To counter the threat of package thieves, some local police stations have started leaving bait packages that are rigged with a GPS tracker. 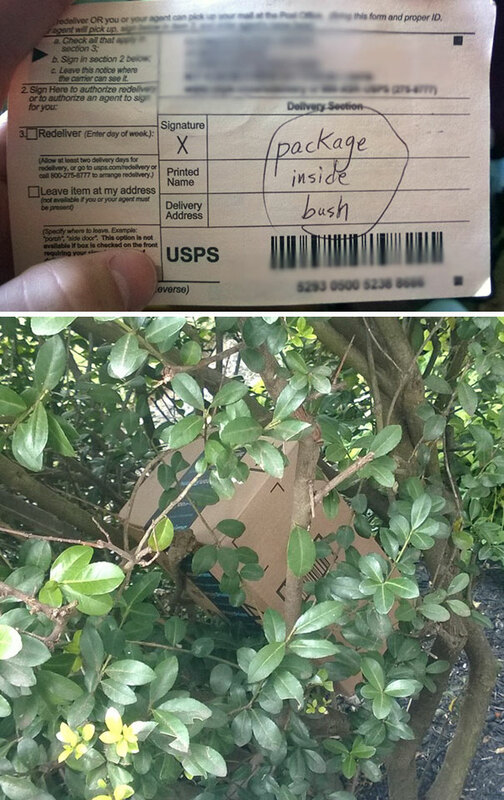 Delivery drivers have also gotten creative with where they leave packages, hiding them in bushes, in porch eaves, and in other unlikely locations. Shoppers have also started to get creative by having deliveries sent to their workplace. One online shopper in Chicago noted that this tactic can make for a strange commute. She said, “Sometimes, I’m just sitting on the Red Line with a wig in my hand, or potting soil in my backpack, thinking, this is so weird. I thought Amazon was supposed to make my life easier?” she said. Despite the attempts to curb package thieves, one easy to implement solution can have the best results for protecting delivered packages: video security. On the other hand, adding video security to your front door can remove the mystery of what happened to your package. Not only would you see your item being stolen, but you may also get an image of the thief’s face or of his or her license plate. With the footage from your security camera, you’d have evidence to provide to the police, a video clip to share on social media, and screenshots to pass out to your neighbors. 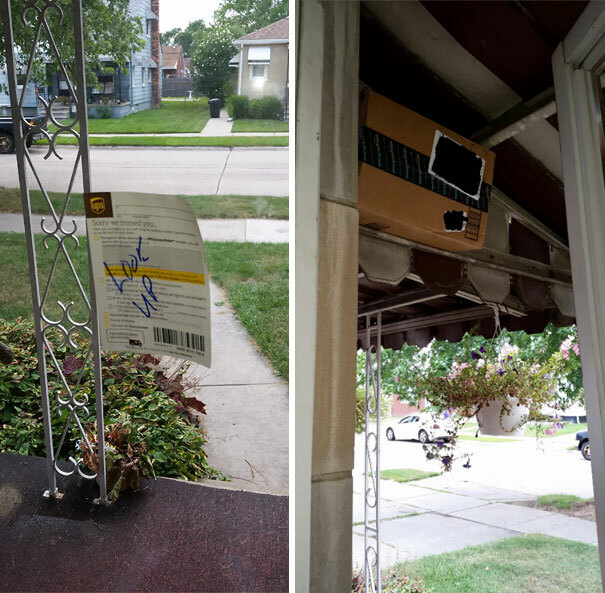 Not only can this documentation be valuable when trying to catch the thief, but it can also help your neighbors be on the lookout if the “porch pirate” returns. Legacy video security systems provide you with critical visual documentation. However, they fail to provide the speed that can be crucial in protecting your home, your belongings, and your deliveries. Smart security cameras, such as the Ooma Butterfleye, provide users with instant access to activity alerts. After receiving an alert on your mobile device, you can click through to the Ooma Butterfleye app for immediate access to the footage of the detected activity. 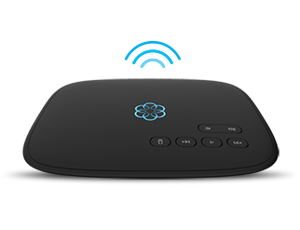 Additionally, the Ooma Butterfleye provides an instant video capture feature that starts the clip five seconds before the event, so you’ll catch as much action as possible when identifying the thief. With seven days of free video storage in the cloud, your Ooma Butterfleye smart security camera provides you with tools to view a package thief immediately, and then download or share the clip. Being able to take appropriate measures quickly can increase your chances of recovering your stolen items. In addition, the Ooma Butterfleye has backup systems to keep you covered during both internet and power outages. 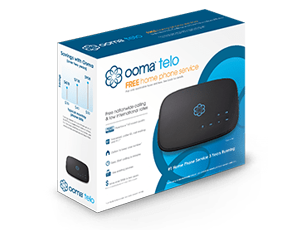 The Ooma Butterfleye is available as a part of the Ooma Smart Home Security Starter Kit which provides multi-point home protection including an Ooma Telo, two door/window sensors, one motion sensor, one Ooma Butterfleye camera, and the ability to add unlimited additional security sensors including water sensors, a garage door sensor, or siren. The Ooma Home security system with the Ooma Butterfleye smart security camera go beyond instant alerts. It provides you with advanced technology so you can be on the cutting edge of home security. Subscribers to the Ooma Butterfleye Home Secure plan unlock innovative facial recognition technology, which you can use to algorithmically reinforce your security. When using the AI-powered facial recognition security feature, the Ooma Butterfleye is able to recognize familiar faces and group activity based on facial profiles. With facial recognition, your security notifications can improve from saying, “Activity was detected” to saying, “John was seen.” If it doesn’t recognize the person, Ooma Butterfleye will say “Unknown person was detected.” The longer you use the camera, the stronger the facial profiles will become. There’s a two-fold benefit to this powerful technology. First, you can customize your notifications to only be alerted to unknown faces. This can save you from unnecessary notifications about your friends, family, or neighbors. By focusing your notifications on unknown faces, you’ll avoid the notification fatigue that can happen from unnecessary false alarms. Second, if you have your Ooma Butterfleye positioned to capture passers-by on the street or sidewalk, you could start to build a rich data set about what happens in front of your house. With the facial recognition technology, it’s possible that the Ooma Butterfleye could identify your package thief and associate the person with other instances where he or she passed next to your security camera. As authorities investigate, this could provide valuable intelligence on associating your stolen package with other nearby thefts on associated days. Learn more about how Ooma Home and Ooma Butterfleye can provide you with multi-point home security.